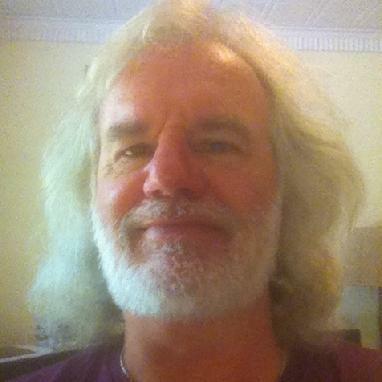 DavidRivett; singer/song writer, music for peace and healing. Welcome to my website. This site is about HEALING OURSELVES and the PLANET with the POWER of MUSIC and MEDITATION. It's about The Pioneers Bush Band and our Australian Folk and Country Music, it's about healing ourselves and the planet through song writing. It's about my music which you can listen to and download free recordings and/or make paypal donations for all the studio recordings I've made over the years. Check out The Albums page for the latest recordings although new recordings can be scattered anywhere that is appropriate on my site! It's about my psychospiritual musings. It's about Busking; there is music on this site you can listen to and download for free but think about it as if I am Busking and you can throw a coin by making a donation on paypal. It features 'Busker's Corner" where you can put your own "Save the Planet Songs".It's organic, I change texts and things on a daily basis to reflect how I'm thinking and feeling about what I have put on it and what I intend to put on it. I am a guitarist/mandolin player and song writer. I also play the didgeridoo. I have been fascinated with the power of music since I first heard Hank Marvin's guitar in the early 1960's. Now I know that all types of music can have HEALING power and that this healing power is through the ideation and intent of the composer and performing artist. More about that on other pages! Please talk to me about anything on this site. My current email address is: davidrivett@iinet.net.au. I have a You Tube channel. The first video I put on it was a new song to commemorate Remembrance Day Nov 11th. 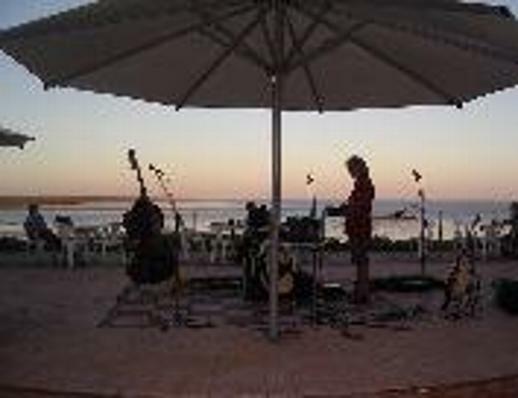 Getting ready for the gig at the Mangrove Hotel, Broome WA. I want to make the world a better place through whatever talents and skills I have. I love getting out into the community and playing music for people. I don't want to make music just to make money although I do need to have money to live in this world. I want to make sounds that remind people that they are beautifull, that life is beautifull, that the world is beautiful, but it can be sad, and we can be sad, and that's okay. I want to play music that is inspired by loving thoughts and actions but I also need to expresse the pain and frustration I feel in watching how people treat each other and the world around them.. I want my life to be directed by the highest good and I want my life to express that in every action. I hope that when you visit this site you can listen to music that inspires and helps you to make this world a better place. "If you always do what you've always done you'll always get what you've always got." "One day you'll wake up dead and the shock will kill you". Like many early baby boomers the Second World War was ever present as I grew up. London still had ''bomb sites' in many areas in the early 1950's. In England Boy's fighting games were about killing germans. Then the cold war and the ever present threat of a nuclear holocaust hung over us as we grew up. I believe the hippy philosophy of love and peace was a reaction to our parents generation's apparent acceptance of this stae of affairs. We wanted change. We didn't see why we should live in fear so we opted out of their fear based religion and instead chose to live each day as it came and enjoy whatever it offered. In the Christmas of 1914 soldiers from both sides of the conflict stopped killing each other and met in no man's land. They sang Christmas carols, exchanged gifts and played soccer. .................then tragically they went back to killing each other. They had an opportunity to stop the war. The war was started by the royal families of Europe having a feud. it was not a war beween the peoples of Europe they were just the pawns in a game played by people with two much money and power. The people of this planet can stop war. If all the soldiers stopped being pawns for greedy people with too much money and power war will stop. In 1990 during the first Gulf War I had a vision of a huge chalice and into it was falling all the weapons of war; they were all melting into the cup into a golden liqued.......................of peace. Do you think it’s really fair? Why is it that you hurt these innocent ones? Why are so many people living living lives in fear? No time now to hide.